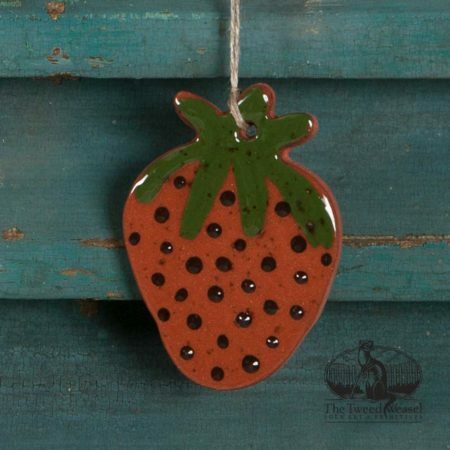 Tin-cut redware ornament featuring green and black slip-coat features. Designed and kiln-fired by Bachleda Tulipware. Lead-free gloss glaze is peppered with a manganese accent.